A few years ago I visited Kauai, Hawaii, and discovered this large, bulbous, green, and knobby fruit, about the size of a pear. Is it edible? Is it poisonous? Is it full grown? What the heck is it? My website received a lot of Google hits from people searching for “bulbous fruit”, which is what I called it before I realized its true name. I have since learned that this is the fruit of the noni tree. It is edible (though not too tasty) and not poisonous (if you don’t eat too many). 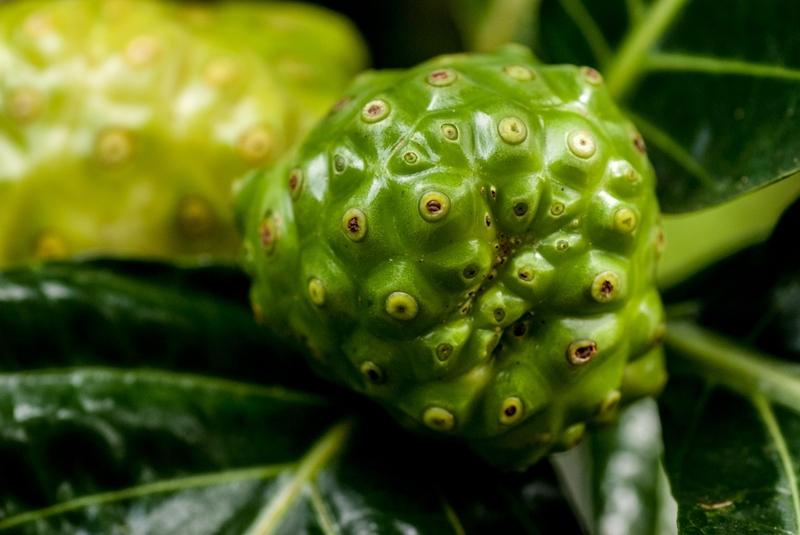 Proponents claim that the noni fruit and its juice can treat a wide variety of health problems, ranging from cancer to senility to psoriasis. Science hasn’t backed up these claims, so if you get a case of psoriasis, see a doctor. The noni fruit has also been used in many commercial skin and hair care products. Go ahead and slather it on if you need to moisturize, just don’t expect a cure for cancer. I would go back to Kauai in a heartbeat. The plants there seemed bigger, greener, weirder. Posted in response to the weekly photo challenge It IS easy being green! I have spent a lot of time thinking about happiness. A few years ago I visited Kauai, Hawaii on a vacation with a boyfriend. I was pleased with life: happy to be in a relationship, happy to travel with someone, and happy to be away from the office. The photo below shows my vacation strategy. Can happiness ever be a constant, or is it just one of those things that comes and goes? Can I be happy in the office, working, under a deadline? Can I be happy when I’m old and gray? 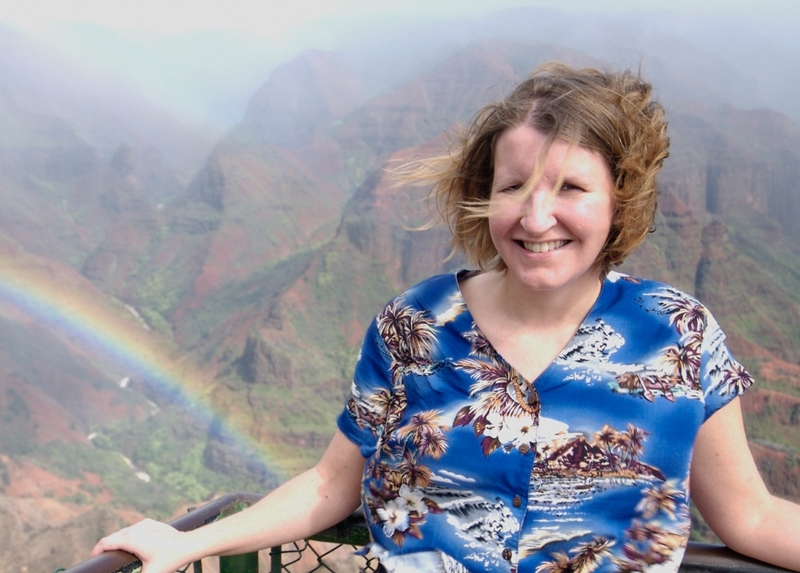 Do I need a vacation, with rainbows and balmy weather, to be happy? Do I need the wind in my hair and the sun in my eyes? According to the Time article, there are four habits that will improve happiness: be thankful; label emotions; make decisions; and optimize touch. Being thankful and expressing gratitude seems both the easiest, and the most surprising. I’m enthusiastic to do this; you may seem posts expressing what I’m grateful for in my blog. Labelling emotions also seems easy. Hangry. Done! If I had a dollar for every time hunger ruined my mood, I’d be a millionaire. I recently started carrying around Clif bars. Oatmeal raisin walnut is my jam. Decisions are a little harder. I have decided I want to publish a novel. I even have 46,000 words written. But getting it published is something else entirely. That task is not 100% within my control. I’m working on breaking it down into achievable steps that are within my control. Touch also seems a bit out of one’s control, but okay sure, I’ll make sure to get it where I can. Firm handshakes, enthusiastic hugs, massages, the works. The article seems to overlook two key ideas that were prominent in Alex Korb’s book: get good sleep, and exercise. Why didn’t the article highlight these two items? Is it because sleeping well and exercising are notoriously pesky habits to achieve? Speaking as an insomniac who avoids the gym, I think it’s harder to sell sleep and exercise. Regardless, I am going to try all the ideas from the book, including the hard ones. Happiness takes work. Though we can’t be happy all the time, and circumstances are what they are, I think choices have a large influence. Happiness is not an island vacation. It’s a journey of an entirely different sort. I had a grand ol’ time in Kona, Hawaii a few years ago. 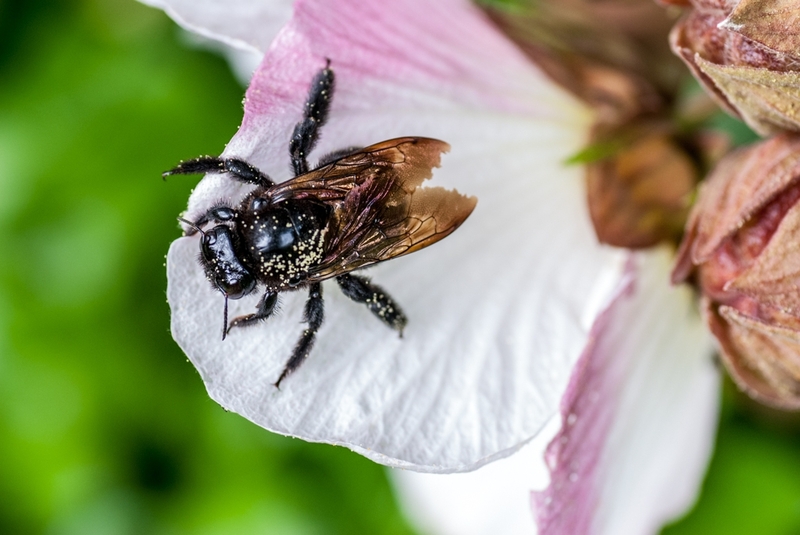 I loved the plethora of flowers and insects.